Everything possible today was at one time impossible. Everything impossible today may at some time in the future be possible. 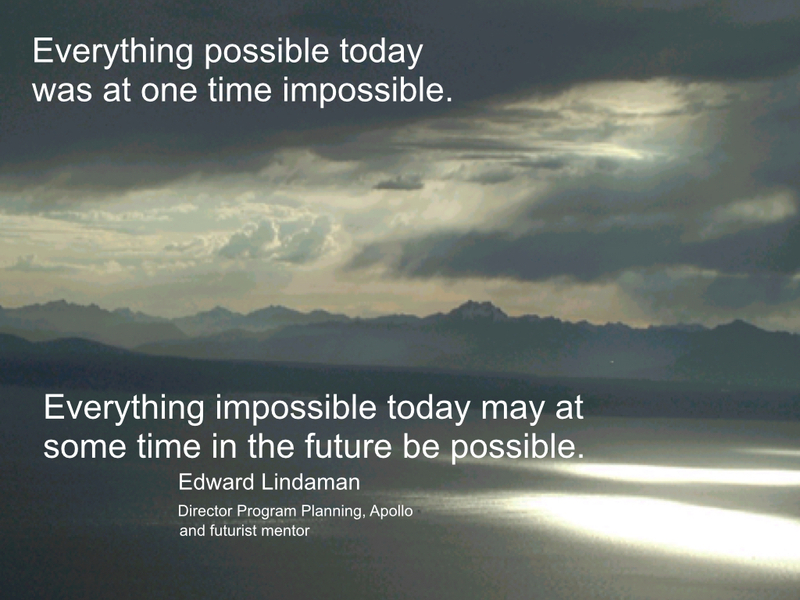 Dr. Ed Lindaman was the program director for planning Apollo, then became a college president and direct mentor to me in becoming a futurist. He remains the most amazing person that I’ve known, and he was a wizard with words. This is one of my favorite of his sayings.